I've mentioned in my other blog that the Japanese don't do April Fool's day and I was always immensely grateful for that. It's not that I don't appreciate a clever joke. In fact, I very much appreciate one. It's just that April Fool's jokes are rarely clever. They are often mean-spirited, childish, and lacking in true imagination. Mostly, they play on making your victim look like a fool after trusting you rather than being creative and amusing everyone with your ingenuity. This past April Fool's Day, there were two jokes that I appreciated. 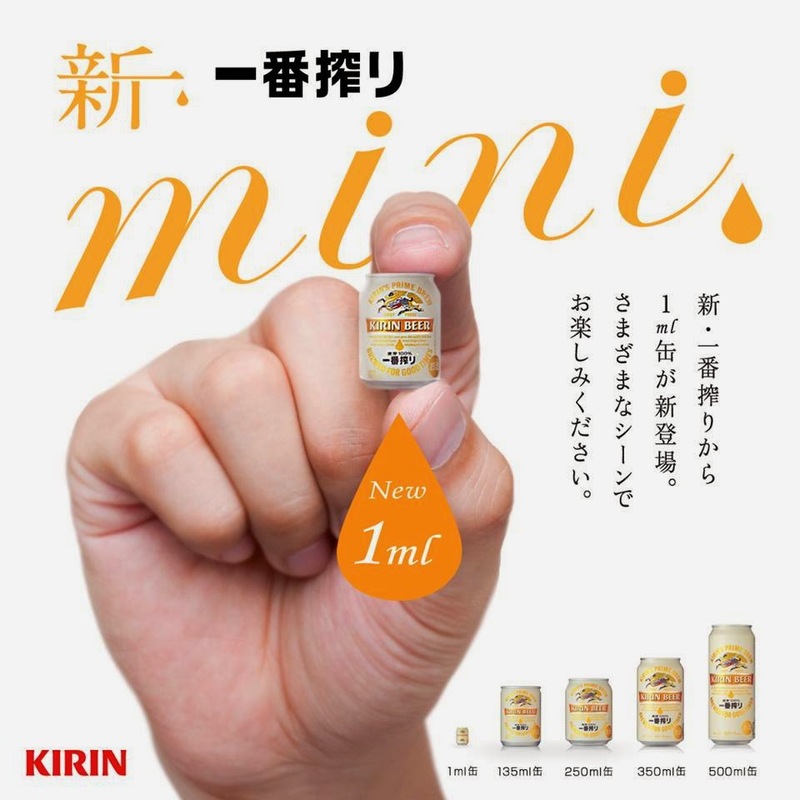 One was the Lil Bub video which was very nicely constructed to make it appear that there are actually two of these adorable cats with dwarfism and the other is the Kirin April Fool's advertisement promoting a 1 ml. can of beer. I appreciate these jokes because they take effort and they provoke a smile rather than embarrassment. While I do like the ad (shown above), I also hope this isn't the start of a wider trend in Japan. BUB led me down a dark path of 30 minutes wasted and the Tuxedo Kittie Power of BUB purchased. I have an android phone and Google Photos added David Hasselhoff photobombing some of the pictures I took in Alaska. I thought it was pretty funny.